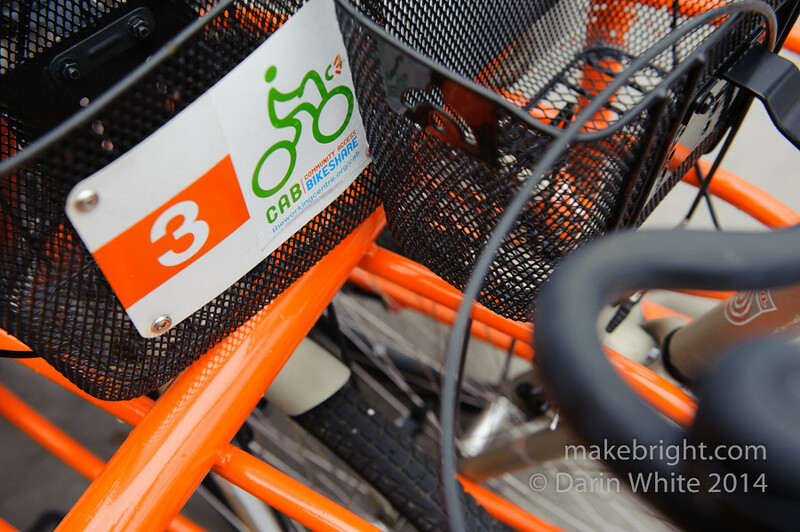 Hub Haps #006-orange you glad for these bikes? Y’all know I love bikes. 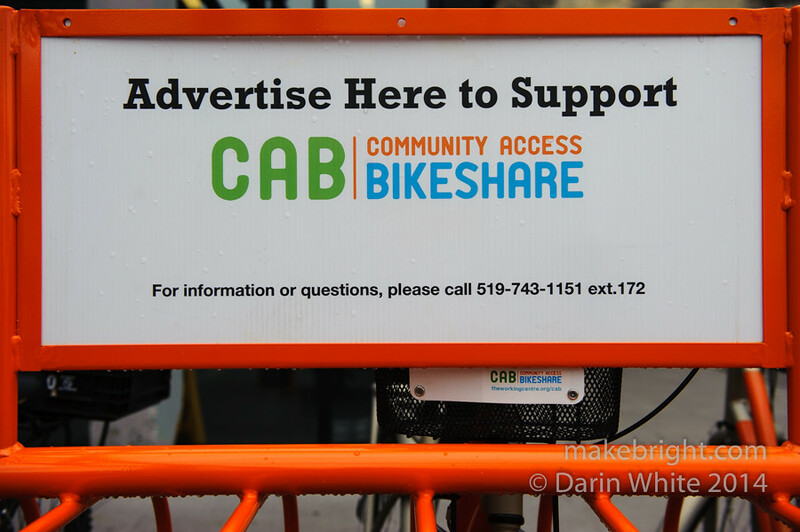 Happily, this week saw the installation of a new Community Access Bikeshare station out in front of my favourite haunt, the Communitech Hub. Another instance of the great stuff coming out of The Working Centre and a concrete step supporting alternatives to the car. Catherine Thompson wrote it up in The Record. makes me believe that there is hope for humanity. Now get on your bikes and ride! On Charles Street, this is Kitchener. This entry was posted in community and tagged bicycle, Communitech, HubHaps. Bookmark the permalink. 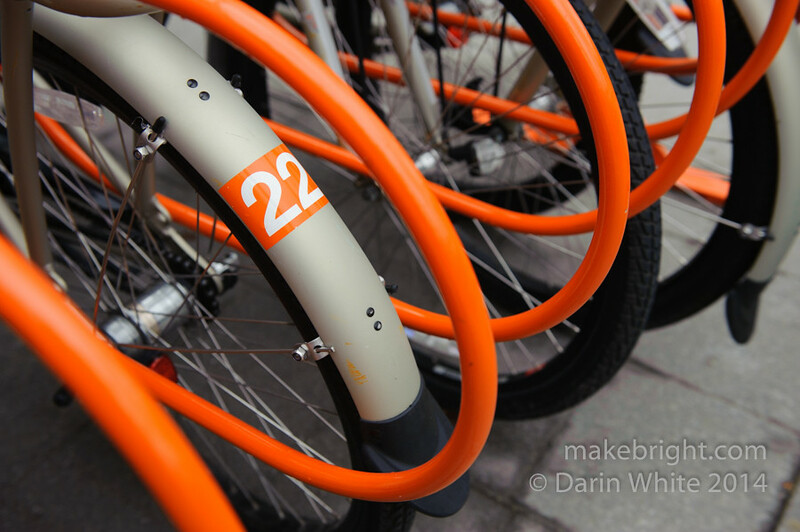 1 Response to Hub Haps #006-orange you glad for these bikes?